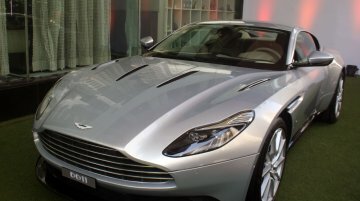 Aston Martin launched the Aston Martin DB11 V8 in Thailand on 21 November 2017. The company has brought the new grand tourer to the 2017 Thai Motor Expo for public preview. After the global.. Customer deliveries to commence from early 2017. Following its local unveil at a private gathering in New Delhi, Aston Martin India showcased the Aston Martin DB11 in Mumbai. 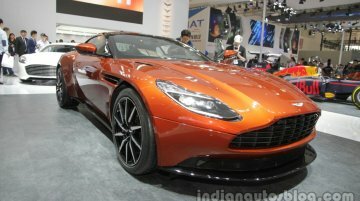 Below is a gallery..
Aston Martin's new flagship sports car officially lands in India. The Aston Martin DB11 has launched in India at INR 4.2 crores (ex-showroom Delhi). 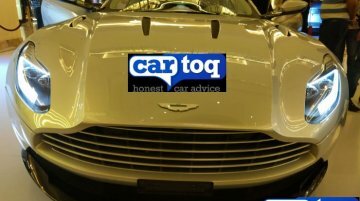 Images from the car's launch, courtesy CarToq,..
First Aston Martin to sport a turbocharged engine. 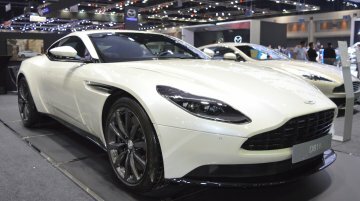 The Aston Martin DB11 has made its Chinese debut at Auto China 2016 (2016 Beijing Motor Show). Originally introduced at the 2016 Geneva Motor..
First ever turbocharged Aston Martin. 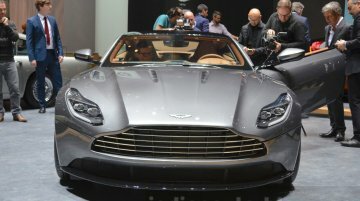 Aston Martin has unveiled the all new Aston Martin DB11 at the 2016 Geneva Motor Show, which heralds a new beginning for the British manufacturer. The..